Mount Carstenz Pyramid. The highest in the ocean Continent (4,884 meters above sea level). 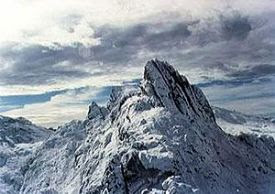 Located in the western central high¬land, above the equatorial jungle of Papua lies on the least accesible snow capped ranges in the world on Ngga Pulu/Puncak Jaya (4,862 m asl).